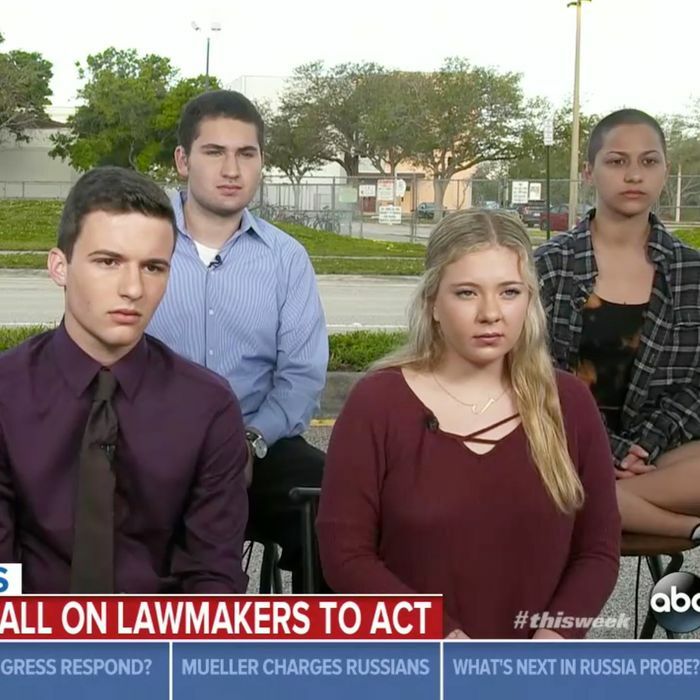 From left to right, Stoneman Douglas students David Hogg, Cameron Kasky, Alex Wind, Jaclyn Corin, and Emma Gonzalez. On Sunday morning, student organizers from Marjory Stoneman Douglas High School announced that they will lead a nationwide demonstration on March 24 called the “March for Our Lives,” explaining to ABC News and other news organizations that they were now determined to make the Stoneman Douglas shooting the turning point in the U.S. gun control debate. They expect the student-led demonstration to take place in Washington, D.C., and every other city in the country. The people in the government who were voted into power are lying to us. And us kids seem to be the only ones who notice and our parents to call BS. Companies trying to make caricatures of the teenagers these days, saying that all we are self-involved and trend-obsessed and they hush us into submission when our message doesn’t reach the ears of the nation, we are prepared to call BS. Politicians who sit in their gilded House and Senate seats funded by the NRA telling us nothing could have been done to prevent this, we call BS. They say tougher guns laws do not decrease gun violence. We call BS. They say a good guy with a gun stops a bad guy with a gun. We call BS. They say guns are just tools like knives and are as dangerous as cars. We call BS. They say no laws could have prevented the hundreds of senseless tragedies that have occurred. We call BS. That us kids don’t know what we’re talking about, that we’re too young to understand how the government works. We call BS.